Expansive and perfectly manicured green lawns. Beautiful ranch homes. A hidden gem that is still a bit of a secret in Denver. Belcaro, meaning “beautiful, dear one” in Italian, is located adjacent to Cherry Creek and next to Bonnie Brae. Only 193 homes, it is one of Denver’s most peaceful and desirable neighborhoods. Belcaro conjures up images of the stately Phipps Mansion. In 1931, U.S. Senator Lawrence Phipps, who made his fortune while Treasurer of Carnegie Steel, decided to build his retirement home with the help of his New York architect and local architects Fisher and Fisher. His Georgian Mansion, completed in 1933, cost a grand total of $310,000. It sits on five and a half acres and consists of 54 rooms and is over 33,000 square feet! The Tennis Pavilion is believed to be the first indoor tennis facility west of the Mississippi River. 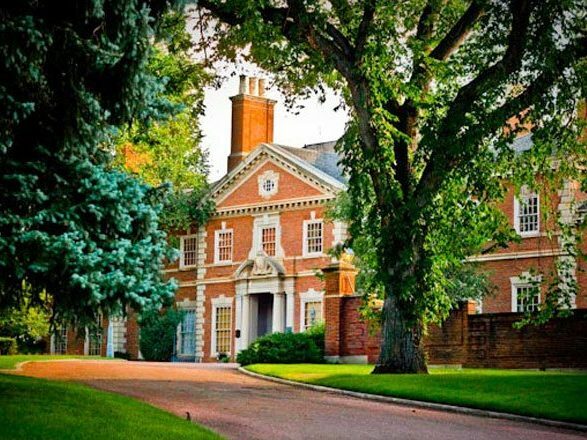 The estate was donated in the 1960s to the University of Denver and now is available for hosting special events. Conveniently located, the neighborhood is a quick hop to Colorado Boulevard, 1-25, Cherry Creek and Wash Park. Residents love the space – the lots are huge by Denver standards and old growth trees provide shade and privacy. Learn more about Belcaro Park at www.belcaropark.com.